It's been seven years since Helen Avakian's first studio release, Vanishing Point, brought her idiosyncratic, yet dreamy signature mix of classical, folk, and flamenco to the broader audience outside New York's musically rich Hudson Valley region. Watching this artist (a term I revere and don't overuse) come into her own has been a pleasure, and on I Love The Moon, even long time fans will find something new and exciting in the stylistic scope and growth at play here. Because of--or in spite of-- the rock band backing her, there's a visceral confidence to Avakian's vocal approach that is freer and more playful than ever; allowing her melodies to follow the beat, not necessarily where her well-informed muse might take them. Avakian sings the blues with a rustic sincerity few could have imagined. Terry Champlin's "Bird Flying" is a stand out track, as classical guitar, mandolin, and acoustic slide evoke not only the motion of the heart but of the day as well. Couple "Bird Flying" with the invigorating new wave/60's girl pop of "Right Now" and you'll hear where that motion has carried her. "Goodbyes," "I Hear You Call," and the romantic, assuring title track shine a warm light on Avakian herself, three indelible songs centered around a girl and her guitar, singing what matters most. With her friendly, charismatic demeanor and considerable music prowess, Helen Avakian is the incredibly talented girl next door who has blossomed right before your eyes. One of the Hudson Valley's most popular performers, Avakian is also among the most multifaceted, at home in a range of genres from singer-songwriter to Flamenco and classical guitar. As a recording artist, she released "Vanishing Point" in 2001, which burst with potential and hinted at a promising future for a songwriter who merged sensitivity with sensibility. That potential has been realized with "I Love the Moon," Avakian's new release on her own Highwater Music label. The CD's 12 tracks are the culmination of an artist's honing of craft and determination to excel. Recorded at Scott Petito's NRS Recording Studio in Catskill, "I Love the Moon" exudes confidence and warmth, with each song setting a different mood. Avakian wrote or co-wrote 10 of the 12 tunes, with husband and guitarist extraordinaire, Terry Champlin, writing the other two and co-writing three others. Avakian is comfortable in her skin here: her voice is sure, her playing is top-notch. The musicians assisting her - including Petito and Champlin - support her story-songs with aplomb and expressivity. "I Love the Moon" gets better with each listen. Some recent albums that have "turned my head" are "Haughty Melodic" by Mike Doughty and "Viridian" by the Greencards. I love Suzanne Vega's new album "Beauty and Crime," as well. She is a longtime influence, as is Terry Champlin, classical guitarist and composer par excellence and as it happens, my husband! Terry is my biggest influence, (surprise! ); also, my producer and collaborator, NRS recording studio owner and multi-instrumentalist composer and producer, Scott Petito. Virtuoso fingerstyle guitarist, Tommy Emmanuel, as well as a group of fine guitarists and good friends I have met at the Walnut Valley Festival in Winfield, Kan., have also been keeping me very inspired. I am trying to be more straightforward and clear with my songs. I have a lot of songs that are better appreciated after a bit of preliminary explanation. Now, I really try to write and perform songs that are easy to understand without any introduction - not that I still don't appreciate a bit of mystery here and there. I also like to think I am singing and playing guitar better than ever. I am always trying to improve my expressiveness and technique. After a performance the other night a woman came up who has heard me many times. She said she thinks I sound better each time she hears me, and that she feels more emotion from my performance. That certainly made me feel like some good progress is being made. To save the universe! To sell more widgets! No, no seriously, to do the best work I can and to share it with any and all who can make use of it to enhance their life in some way. MySpace Posting on "I Love the Moon"
I get alot of CDs. Let me repeat...ALOT of CDs!! Usually they're good, sometimes not so good, some even kind of good or almost good anyway. Once in awhile I get a great CD. Yours is a REALLY GREAT CD!!!! I listened to "I Love the Moon" at least 50 times in a row as I was making the long drive from Tulsa to St Louis and 50 more times from St Louis to Northeast Ohio. I never do that. Sometimes a certain song will make me listen over and over again as I listen to all of the nuances, trying to hear them all, I listen to your entire CD over and over again. Usually when I hear a CD the producer in me hears changes I would make, the songwriter, changes I would make and the guitar player in me, the changes I would make. Not this time. I was constantly surprised like a kid on Christmas morning at every turn. Your balance on the way your words and the music flow is just amazing!! You don't just sing. You communicate right to the soul in a clear and beautiful way. The names Joni Mitchell, Suzanne Vega, Sarah McLachlan and Helen Avakian are names that all belong together. At least on my CD player they do. Will the family, friends, and fans of Helen Avakian please swear in a blood compact to send copies of "Vanishing Point" everywhere. I mean, radio stations, record labels, VH-l, the press, Web sites, hairdressers, sympathetic extremist groups, etc. It's a scattershot promo plan, I know, but if enough copies get sent out, someone who knows someone's mistress will listen up and get the girl heard at the next level. Avakian deserves to travel in the same circle as Patti Larkins and Dar and Lucinda Williams. There's a courageously idiosyncratic sound at work here, creating a wann, lacy realm of reality and romance that carries you far away from the calculations and manifestations of today's pop music machine. Many of the songs on "Vanishing Point" will be familiar to the faithful, but they are heard anew with a tangible lushness. Largely due to Helen's artistic evolution -- her nimble and intelligent guitar and detail to craft continue to astonish -- as well as co-producer/multi- instrumentalist Scott Petito, who has produced what I believe to be one of the finest sounding discs to ever come from the Hudson Valley. Hushed when called for (the lustrous and evocative "Christmas Tree," "Drifting Days"); inventive arranging and production ("Carrie," "On The Verge," "Vanishing Point"), allows Avakian the full palette she needs to explore her muse from "Vows" and "If You Only Knew" to "Page's Jig," a playful celtic tribute to Led Zeppelin's Jimmy Page. Helen's done a great job. Now getting the word out to the rest of the planet is up to us. C'mon, let's get going! We haven't a moment to lose. 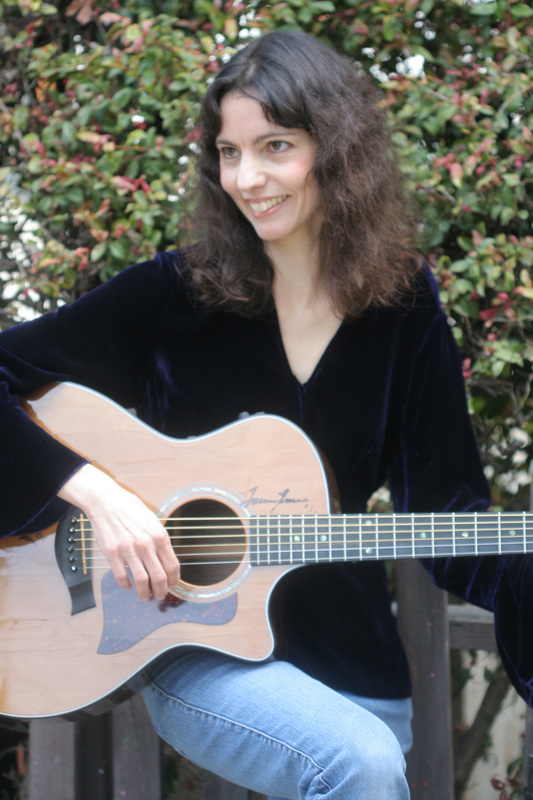 "Avakian displays an instictive sense for songwriting along with a knack for intelligent, poetic lyrics and themes...Exceptional guitar playing under just as exceptional singing." "Helen Avakian has what it takes to rise to the top of the hill. A gifted guitarist, composer, and storyteller, she also has a pure clear voice with its own identity." "Vanishing Point is an excellent album." 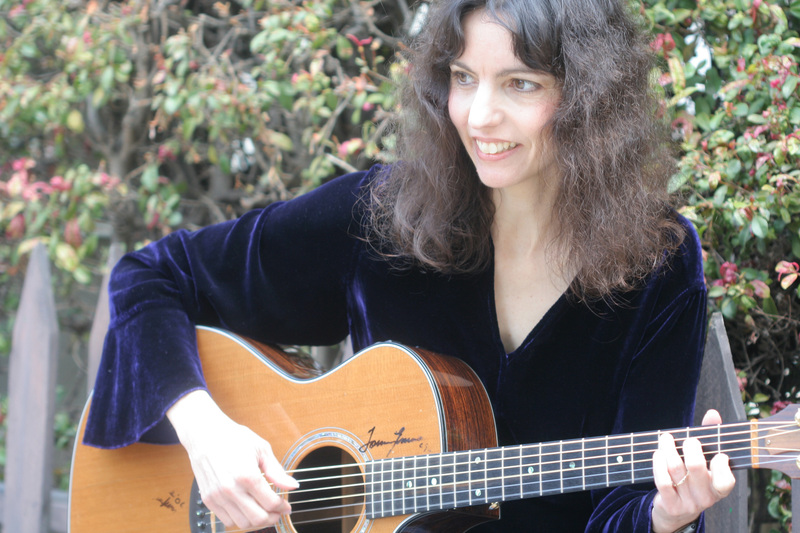 "A brilliant songwriter with an effortless vocal style... Helen Avakian is garnering a well-deserved following." "An excellent album that features incredible vocals and top-notch instrumentation; Vanishing Point should draw in a healthy collection of fans for this unique artist." "In the vein of Jonatha Brooke and Paula Cole-a beautiful song for the season. Our listeners reacted extremely well to Mistletoe Blues. I feel certain this song will become a staple of future holiday playlists." "Mistletoe Blues actually makes me look forward to playing Christmas Music. There are a million versions of The Christmas Song, but nothing stands out for our listeners like Mistletoe Blues." "Helen Avakian's Mistletoe Blues is full of lyrical, wistful metaphors and jazzy Joni-ish phraseology, a cool stream of poetry against Avakian's classical and electric guitars and piano woven into co-producer Scott Petito's understated bass and drums."